Geekbench 2 is designed to measure CPU and memory performance, not graphics, an area where the Mac mini, MacBook, and entry-level iMac fall behind the rest of the pack with their integrated Intel GMA 950 graphics. Let’s see if the numbers really bear that out. 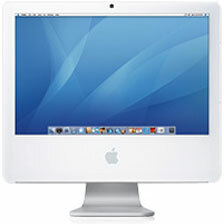 The baseline score of 1000 is based on performance of a 1.6 GHz single processor Power Mac G5. Even the least powerful Intel-based Mac ever released, the Core Solo version of the Early 2006 Mac mini, outperformed it with a score of 1472 (just under 1000 points per GHz). This is the only Mac ever released with a Core Solo CPU, and it really does make a difference. One step higher, from the 1.5 GHz Solo to a 1.66 GHz Duo, boosts the benchmark score by 50%. The 1.66 GHz Mac mini scores 2136, and the newer 1.83 GHz mini scores 2312, an 8.3% improvement (just a bit less than the 10% difference in clock speed). There’s an 11% difference in clock speed between 1.5 GHz and 1.66 GHz, and we anticipate a 1.5 GHz Core Duo would benchmark at roughly 1960. That means the second core on the original Core Duo CPU provides about one-third more power. By way of comparison, the G4 Mac mini offered a lot less horsepower. The fastest model runs at 1.5 GHz and achieves a Geekbench score of 862 (or just 575 per GHz). The Core Solo mini beats that by over 50%. Benchmark results are very close across the board for the 1.83 GHz Core Duo, and the range of 2.0 GHz results is only slightly broader. The CPU benches 1295 per GHz in the 1.83 GHz iMac, 1278 in the 2.0 GHz iMac, and 1251 in the 2.16 GHz MacBook Pro, showing that performance is being constrained by the memory bus, not the CPU. Comparing the 2.0 GHz MacBook, we have a Geekbench score of 2475 with the Core Duo and 2600 with the Core 2 Duo, a 5% improvement. Moving to the 2.16 GHz MacBook Pro, the Core Duo model scores 2711 while the Core 2 unit reaches 2825 – an improvement of 4.2%. The 2.0 GHz iMac goes from 2556 with Core Duo to 2654 with Core 2 Duo, a boost of just 3.8%. 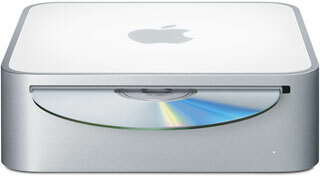 There is no Core 2 Mac mini, no was there a Core Duo version of the Mac Pro. These numbers show that the Mac Pro is well optimized for fast CPUs, as there’s only a 1% difference in the Geekbench score per GHz rating of the faster models. The highest Geekbench scores have been achieved by our friends at Bare Feats on the new 8-core (two quad-core CPUs) Mac Pro. With a score of 8735, that comes out to 2912 per GHz – a 56% higher score than the Core 2 Duo at the same speed. And if you look back that the 1.5 GHz Core Solo Mac mini, that’s about 3x the efficiency and 6x the overall score. Pretty good for a computer with a lot more expandability, far better graphics, and only 5x the price. What About the Power Mac? How does the Power Mac G5 fare under Geekbench? There are several results for the Late 2005 Power Mac G5, and the highest scores are in the 3300 to 3400 range. Assuming that’s the 2.5 GHz Quad gives a rating of 1356 per GHz. If you’re wondering what Apple gained by going Intel, there you have it. A single Intel Core 2 Duo offers about the same performance per GHz as a pair of dual-core G5s. Every benchmark is different. Geekbench looks primarily at CPU and RAM performance. Other benchmarks are more interested in drive speed, overall graphics, 3D gaming, or broader real world performance. They’re all carefully measured numbers that really only tell you how well a computer does at a particular task. Sure, there are benchmarks that will show a nearly 100% improvement, but that tends to be over a limited range of processes. A 50% average gain in processing power is nothing to sneeze at, and it’s an especially good value when there’s a minimal premium for the extra power. The 8-core Mac Pro is a great example of that, as it offers about 56% more power than the 4-core Mac Pro while selling at a 21% higher price. The transition from Core to Core 2 doesn’t look as impressive with Geekbench as it does with some other benchmarks. Our general rule of thumb is that Core 2 is roughly 10% more powerful than “Core 1” – the big gains are in reduced energy consumption, longer battery life, and less heat. We’re grateful to Primate Labs for producing Geekbench and publishing these results. They show us that Apple and Intel are moving in the right direction, especially as regards multiple cores and the future of computing.